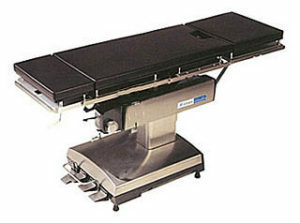 Maquet Alphastar 1132.01 Surgery Table | Refurbished. 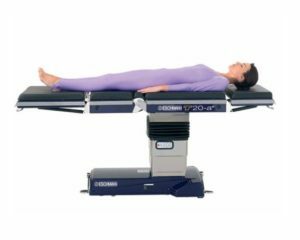 The Maquet Alphastar 1132 is an ultra-modern surgical table with a 500 lbs weight capacity (in normal position). Wired Hand Control, Battery Operation, Automatic Electric Floor Locks, and also Auto Return to Level (on hand control). 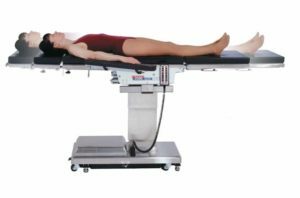 Maquet Alphastar Refurbished Surgery Table Features: Table comes with New Pads and has been rigorously and Completely Refurbished. 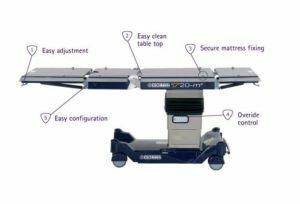 The Maquet Alphastar surgical table is a multi-purpose operating table and a great choice for almost any surgical settings. Hydro-Electric Brakes and C-Arm Compatibility. See tabs for more information.